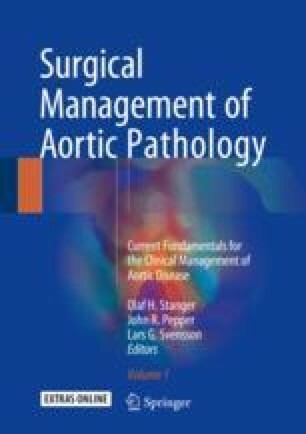 Bicuspid aortic valve (BAV) disease is the most common congenital cardiovascular anomaly with the majority of patients requiring surgical intervention over the course of their lives. BAV aortopathy is increasingly recognized; however, the appropriate time to intervene continues to be debated. Furthermore, recent studies demonstrate that different BAV morphologies portend distinct prognoses: BAV stenosis with associated dilation of the tubular ascending aorta and BAV insufficiency with dilation of the proximal aortic root. Within this chapter we describe the best current recommendations for timing of aortic intervention in patients with BAV-associated aortopathy.